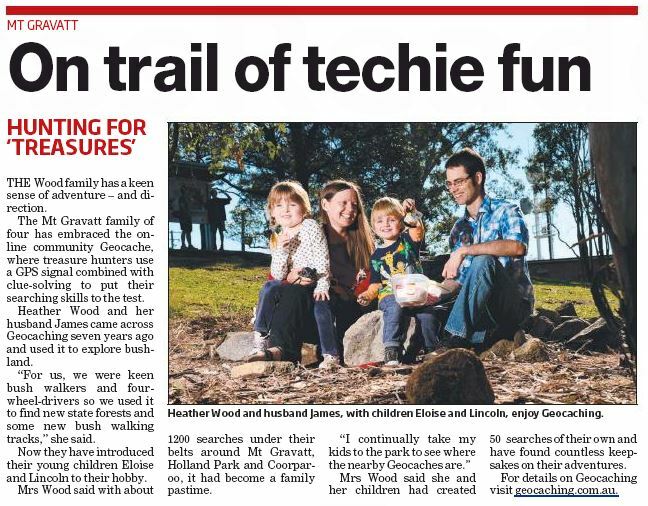 Marshal Kloske and I met the Wood family at Mt Gravatt Summit the morning they were there to meet the Southern Star photographer and we were there to photograph butterfly mating displays as part of our research for the new interpretative track signs. 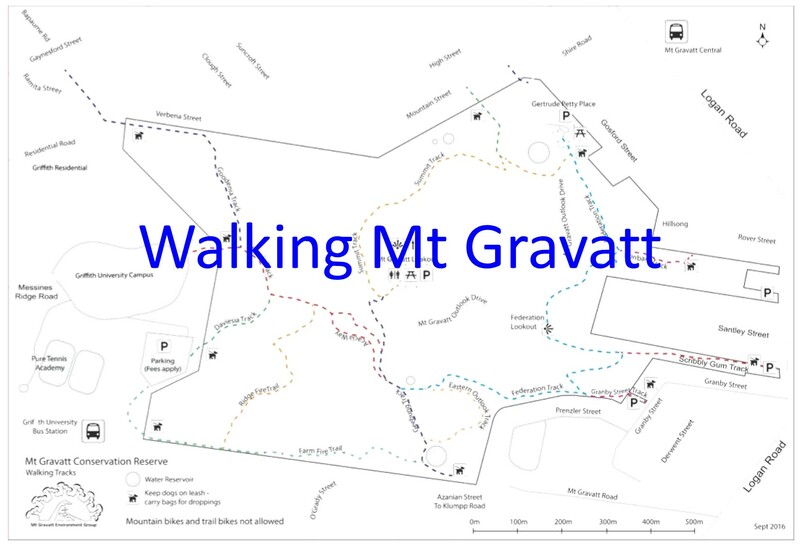 Marshal showed the family the large new sign with maps and information about local history and environment. Like most people the family were surprised to learn about the local “glow-in-the-dark” mushrooms and they were very interesting our research and restoration work. 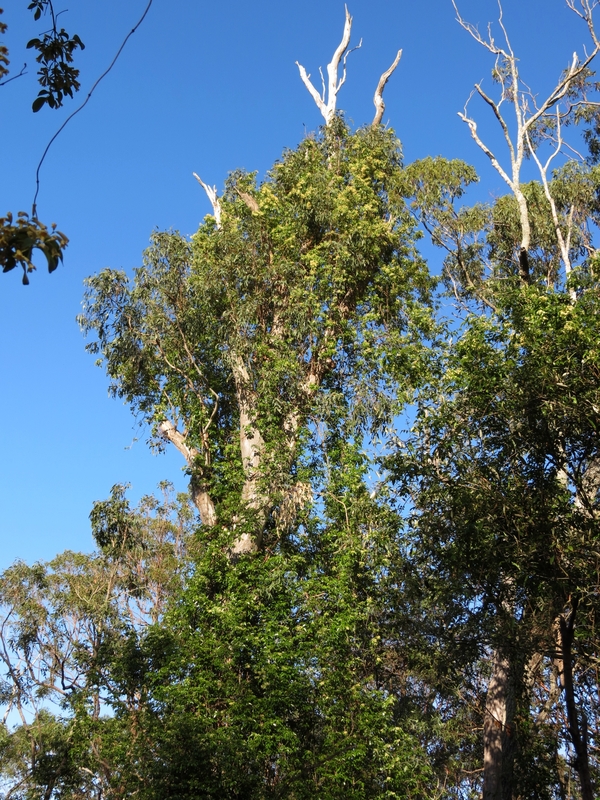 Heather, Eloise and Lincoln then joined Liz, Marshal and I on Wednesday afternoon for our regular Fox Gully Bushcare. 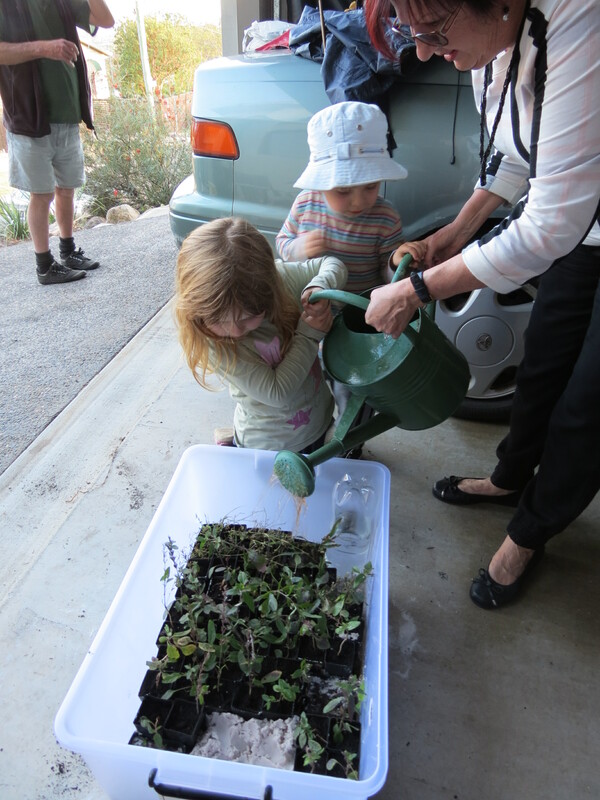 Knowing we would be joined by young children, I planned a special afternoon of activities including checking the nest-boxes and making a portable plant nursery to propagate native seedlings for re-vegetation work. When the family arrived we found out that Marshal and I are now officially called “the Bush Men” … definitely an honour. 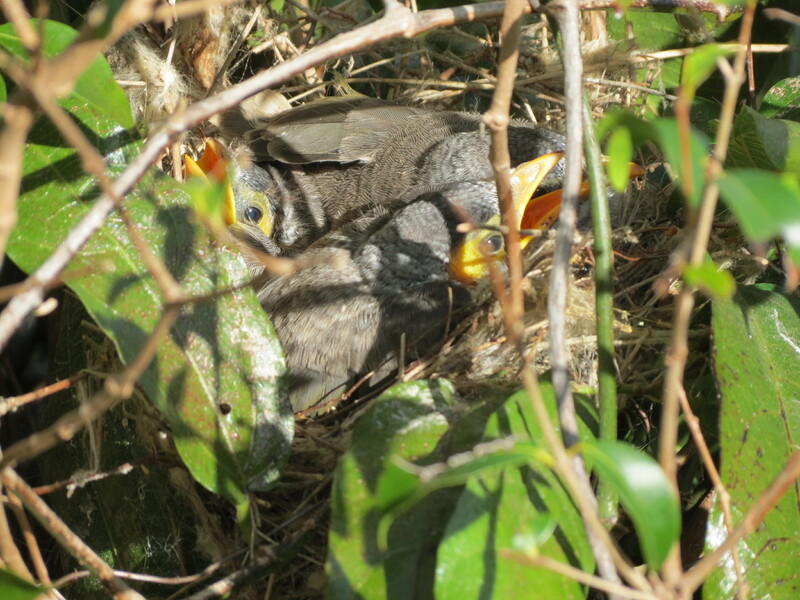 First stop was to check on the Noisy Miner family nesting in the Lillypilly hedge. 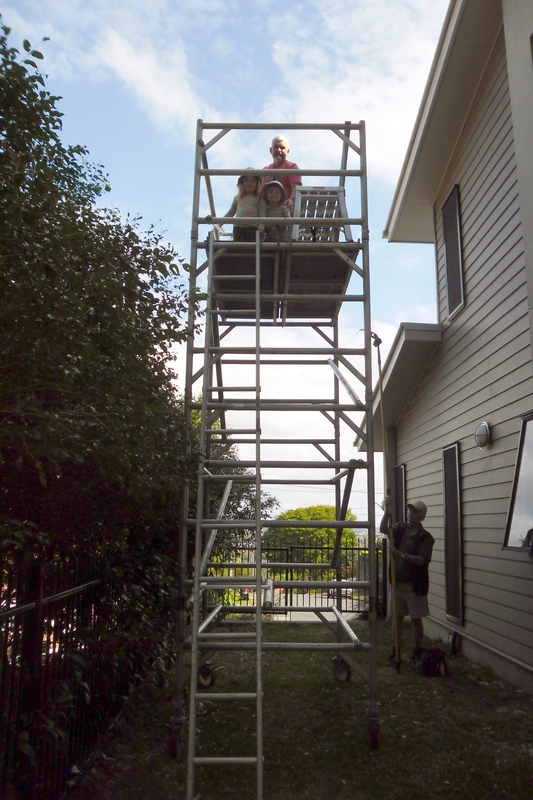 A mobile scaffold makes an ideal place to look down into the nest. Checking the nest boxes we found two Squirrel Gliders at home in one nest box and three possibly four Gliders in another box. The next job is potting up Creeping Beard or Rainforest Grass Oplismenus aemulus and Love Flower Pseuderanthemum variable. Rainforest Grass is ideal for creating Living Mulch that keeps the weeds down, controls erosion, feeds butterflies and creates a natural fire break with its low fuel load. Love Flower spreads rapidly in the garden and is considered of nuisance by some gardeners. 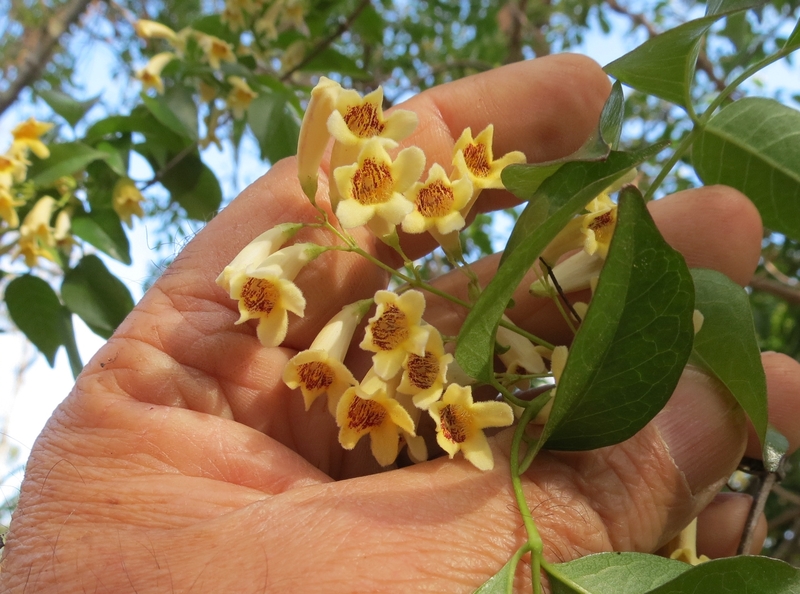 However, this pretty little native herb is host plant for the caterpillars of a number of butterflies including Australian Leafwing Doleschallia bisaltide and Varied Eggfly Hypolimnas bolina. Also Bearded Dragons Pogona barbata like to eat the flowers. 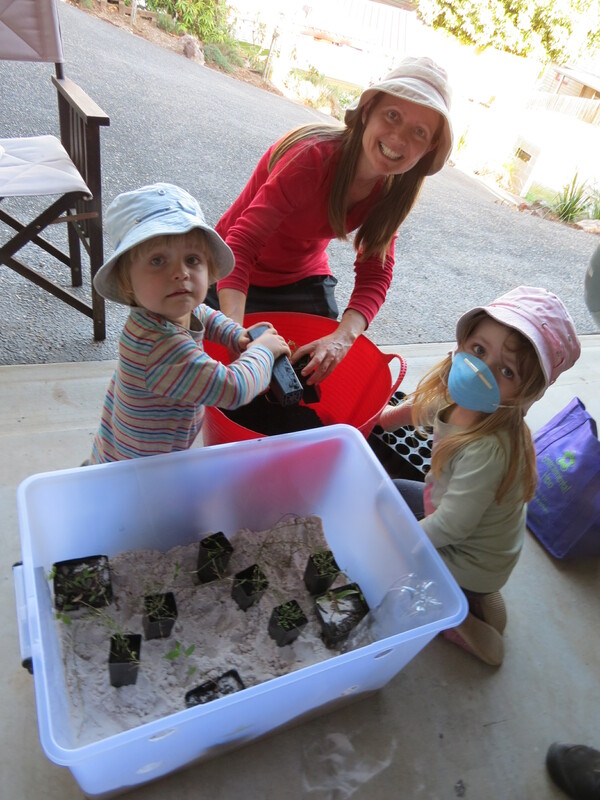 First Eloise and Lincoln helped build a self-watering seedling nursery … sand and water … a recipe forfun. The idea for this neat seedling nursery came from a Gardening Australia segment on building a simple hothouse. It was a productive and fun afternoon. I will provide an update on the success of the seedling nursery which may become a valuable project for Pollinator Link gardeners.